In a large bowl or stand mixer, beat together Greek yogurt, whipped topping, honey and food coloring until light and fluffy. Fold in coconut. Pour into a graham cracker crust. 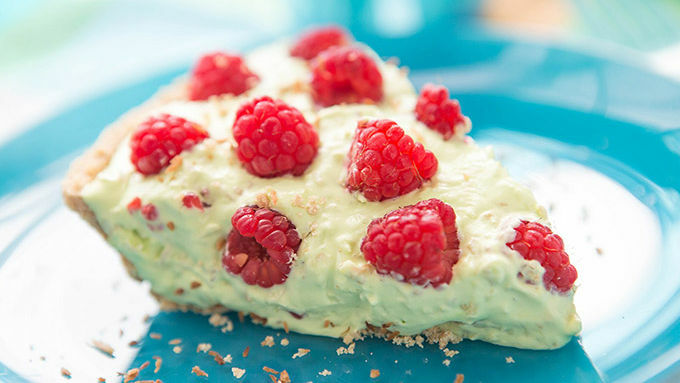 Press fresh raspberries on top. Freeze until frozen, at least 6 hours or overnight. Slice, serve and enjoy! 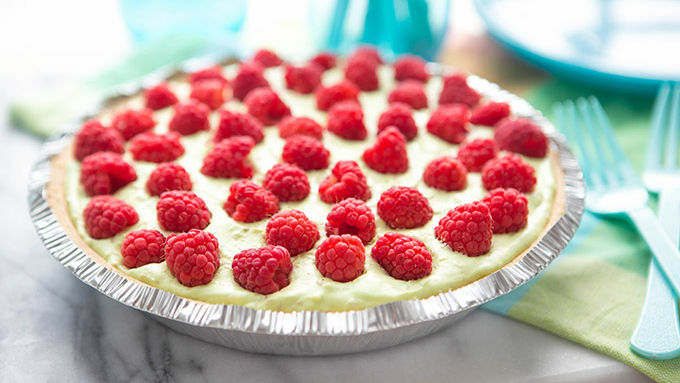 In this recipe we’ve taken sweet Key lime Greek yogurt, swirled it together with soft and creamy whipped topping, added oodles of glorious toasted coconut, then topped it all off with tangy fresh raspberries for a frozen graham cracker pie so good, it’s about to become your springtime obsession. And probably your summertime obsession, too. But, let’s take it one season at a time, shall we? Now, here’s a little insider secret—encouraged by the idea of a crazy quick-and-healthy froyo pie, we whipped together an early batch with yogurt only. Alert! Alert! The 100-calorie froyo didn’t have enough fat or sugar to freeze as needed. So, we retooled our initial idea and added in some fluffy whip and a smidgen of extra sugar to create a soft, irresistibly creamy piece of frozen pie. If you’re looking for a way to cut a few calories, feel free to leave out the honey, but definitely keep the whipped topping. 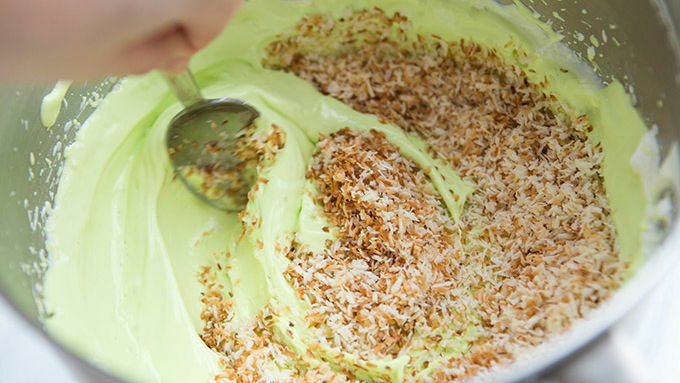 This sweet and simple treat is the yummiest way to eat lime and coconut. One bite and we think you’ll agree!